We value the importance of making dental care affordable for all patients. That’s why we’ve contracted with a number of leading dental insurance providers, including Delta Dental. If you have coverage under Delta Dental, you can maximize your benefits here at Ora Dentistry. As an in-network dentist for Delta Dental, Dr. Dalla is able to provide the full scope of dental care your family needs for optimal oral health. Our Elk Grove office offers advanced general dentistry as well as specialized treatments in restorative dentistry such as dental implants. Do you have a clear understanding of what your Delta Dental Plan offers? At Ora Dentistry, we make it a priority to help you understand your coverage and maximize your benefits throughout the year. In fact, we welcome the opportunity to help patients navigate their specific insurance plan because it can greatly influence how you choose to care for your smile. If your plan does not cover a certain procedure, don’t worry. Our office offers flexible payment options for patients who are without insurance or underinsured. We never want your budget to stand in the way of attaining a healthier and more attractive smile. 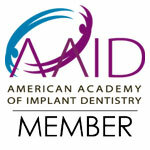 Ora Dentistry is proud to be an Elk Grove dentist that accepts Delta Dental. You can expect a comfortable and rewarding experience with state-of-the-art dental treatments. We make sure you are getting the most out of your insurance dollars! Contact our dental practice in Elk Grove today.